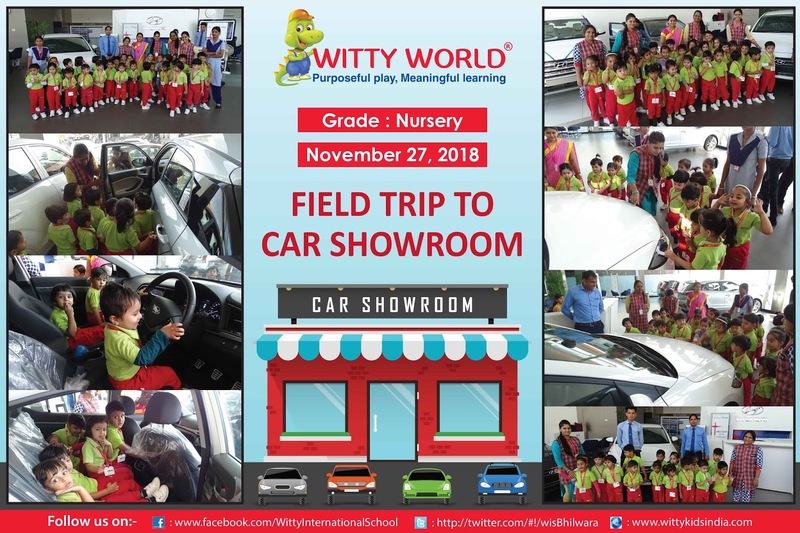 A field trip for the children of Nursery was conducted on November 27th, 2018. 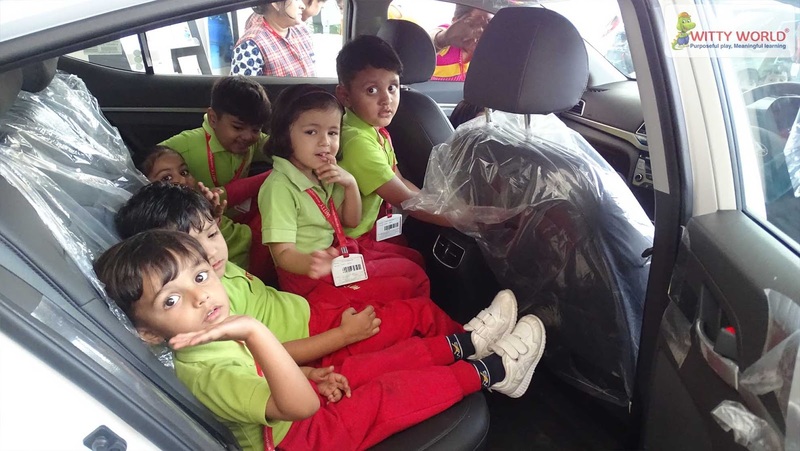 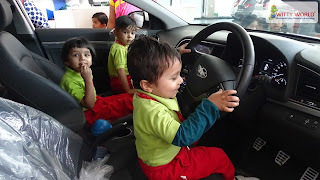 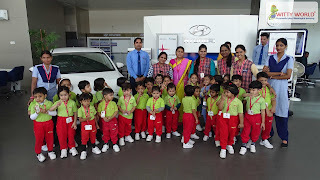 Children were taken to Hyundai Car Showroom. 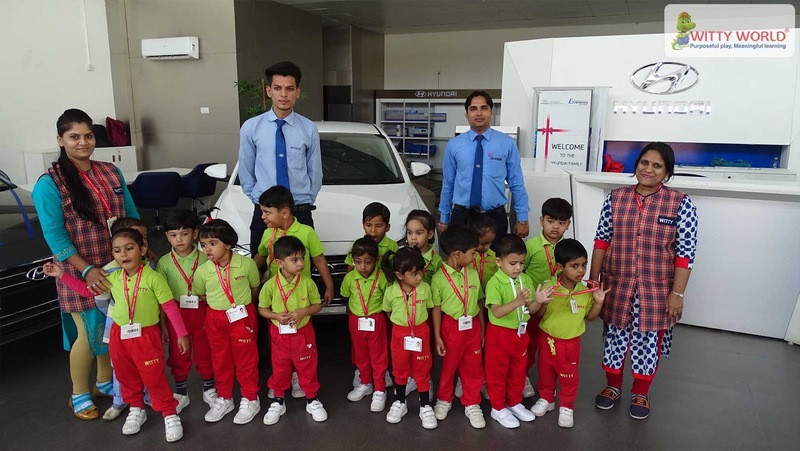 This trip was planned as per the need of theme of the month and for the better understanding of the concept of the cars by the children. The staff of Hyundai car showroom warmly welcomed the little wonders and made the children very comfortable. 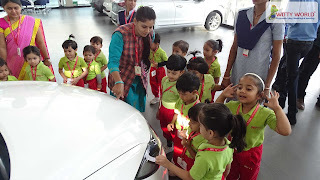 Children always understand things when it is actually shown to them in a fun way and there is curiosity to know about new things. 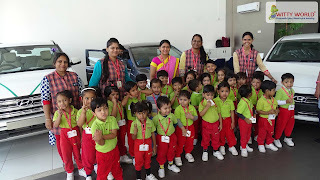 Practical learning has a very strong impact on children as the concept is imbibed within their minds. 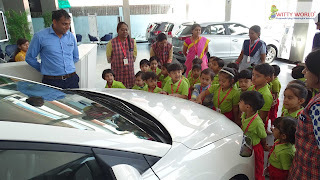 Children were explained and shown the different parts of the cars. Children enjoyed the trip and were very happy.